This gentle plant-based formula unites lavender essential oil, quinoa protein, aloe and botanical cleansers to purify and nourish even extra dry skin, while the soothing aroma of lavender calms the mind and body. Aloe Barbadensis Leaf Juice(1), Aqua (Water), Coco-Glucoside, Sodium Coco-Sulfate, Glyceryl Oleate, Sorbitol, Citrus Aurantifolia (Lime) Oil, Citrus Limon (Lemon) Peel Oil, Lavandula Angustifolia (Lavender) Oil, Calendula Officinalis Flower Extract(1), Chamomilla Recutita (Matricaria) Flower Extract(1), Chenopodium Quinoa Seed(1), Lavandula Angustifolia (Lavender) Flower/Leaf/Stem Extract(1), Tocopheryl Acetate, Bisabolol, Citric Acid, Decyl Glucoside, Sodium Sulfate, Alcohol(1), Benzyl Alcohol, Potassium Sorbate, Sodium Benzoate, Coumarin, Limonene, Linalool. 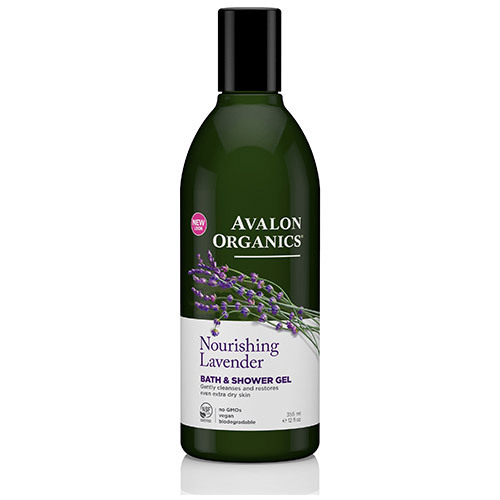 Below are reviews of Avalon Nourishing Lavender Bath & Shower Gel - 355ml by bodykind customers. If you have tried this product we'd love to hear what you think so please leave a review.